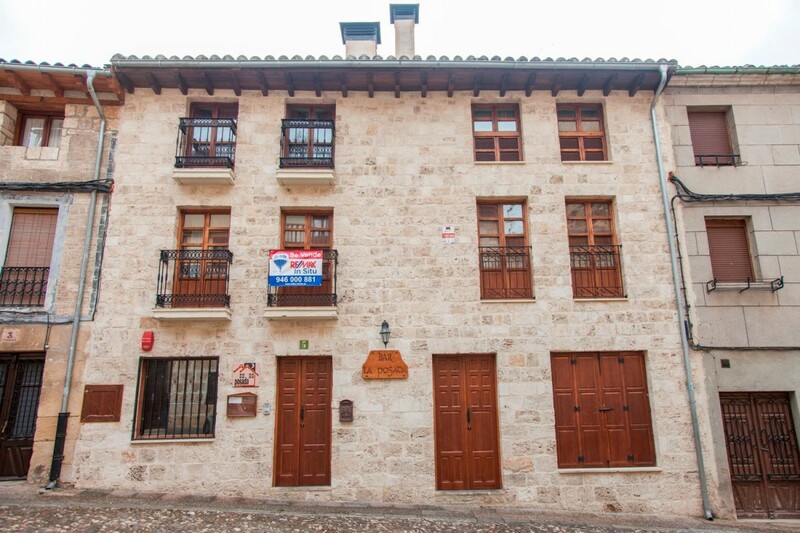 The property with the best location in Covarrubias is available for sale. Next to the Archive. 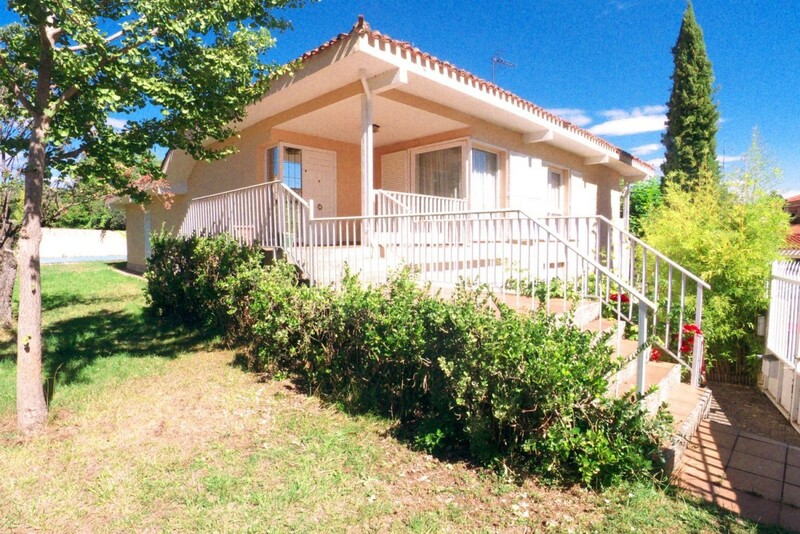 It is a detached villa with a plot of 2000 m2 and swimming pool. The house has 6 bedrooms, 4 bathrooms, large living room, kitchen with office area, terraces, garage connected to the house and different rooms for storage, etc.. . The house needs updating, but is well maintained. Heating by diesel, consolidated garden with fruit trees and orchard area with garden store. Located 40km from burgos, Covarrubias is considered as the "cradle" of Burgos. In the heart of Castilian history and belonging to the region of Arlanza, it is declared as an historic artistic ensemble. It has a privileged environment, surrounded by history, culture and legend. It is one of the best examples of Castilian architecture. Through the town passes the road of Santiago and is located in the wool uta and on the path of the Cid. Monuments and places of interest: Torre "la walled", the collegiate of Saints Cosme and Damian, S XV; Town hall; Church of Santo Tome, S XV, Monastery of San Pedro de Arlanza and file of overtaking. 20 minutes from Santo Domingo de Silos, half an hour from Burgos and 2 hours from Madrid. 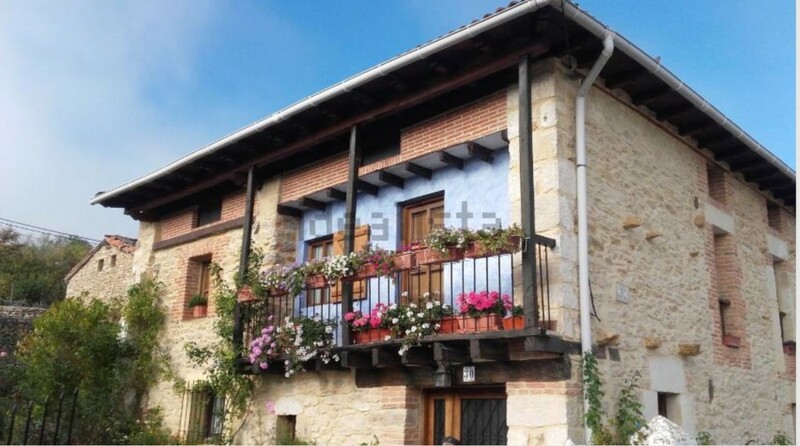 Independent stone house built on a plot of 1600 m. in the center of Brizuela, small town of Las Merindades, in a spectacular setting near the river Nela. The house has 516 m. built (486 m. useful), distributed in: ground floor spacious living room with fireplace kitchen bathroom with bath and shower access to old part of the house (blocks, woodshed, tools area, etc. ) access to ample land in the back. first floor: 6 bedrooms 1 toilet and access to loft. Furnished. It has large land with barbecue, well, orchard, fruit trees. In this area we also find a 40 m stone hut. Beautiful house with five floors and stunning views, located in one of the 10 most charming towns in Spain, according to the repsol guide. Frías is located in the north of Burgos, in the Comarca de las Merindades. A city with medieval charm and numerous sites to visit: the so-called tribute tower over the Valley of Tobalina is an impressive fortress of the tenth century; a beautiful medieval bridge; Hanging houses; Doors and walled enclosure.. . The house has 5 floors, two of them, below ground level, stone facade, windows and wooden shutters. It was completely rehabilitated in 2002. It has been used as a farmhouse and is equipped to house bar, restaurant and accommodation. One of the floors has a cozy apartment with living room, fireplace, kitchen, bathroom and two bedrooms. Another floor has three bedrooms with own bathrooms and fitted wardrobes. Following the visit we find a plant equipped as a bar, with bar, tables and bathrooms. Another plant houses a restaurant with capacity for 40 people, industrial kitchen and two bathrooms. The last of the floors has storage area, fitted wardrobes and additional kitchen. Has the property license to be able to install terrace on the outside. The house can be used as a private house or for the business installation as a country house with bar and restaurant. Possibility of rent and rent with option to purchase A PERFECT PROPERTY IN AN AWESOME LOCATION!